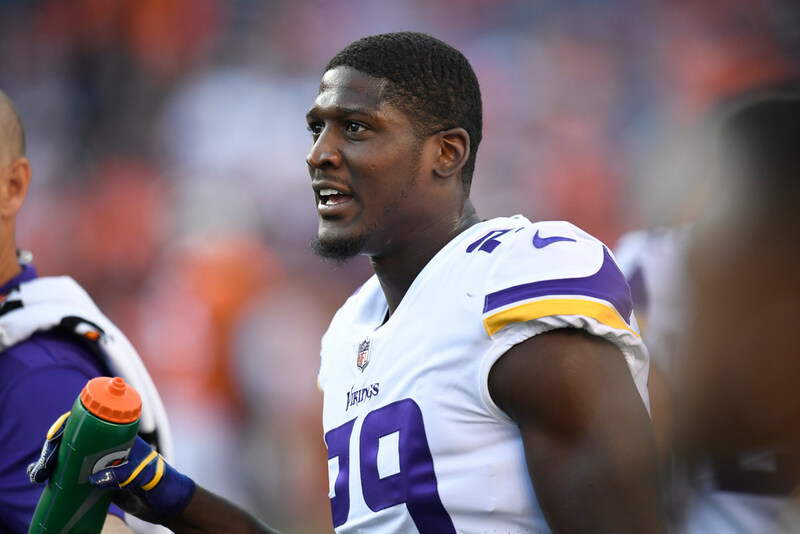 Ahead of the Vikings’ season opener on Sunday against the 49ers, cornerback Xavier Rhodes has been deemed questionable to play after he was limited in practices all week due to a hamstring injury. Rhodes was listed as a full participant in Friday’s practice, so at this point he should be expected to play against the 49ers. The Vikings will likely be without cornerback Mackensie Alexander, who practiced twice this week on a limited basis for the first time since his Aug. 18 left ankle injury that had him in a walking boot last month. Without Alexander in the slot, rookie corner Mike Hughes is expected to have a busy NFL debut manning that role while also fielding kickoff returns. Three Vikings have been ruled out for Sunday: center Pat Elflein (ankle/shoulder), tackle Aviante Collins (elbow) and running back Roc Thomas (ankle). With Collins out, rookie tackle Brian O’Neill will be the Vikings’ swing option off the bench. Guard Danny Isidora will be the primary interior backup behind center Brett Jones and guards Tom Compton and Mike Remmers.